Kelly Rowland dated Kieran Richardson in the past, but they broke up on March 11, 2009. 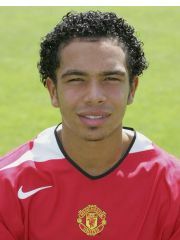 Kelly Rowland dated Kieran Richardson for 1.8 years. Kelly Rowland is currently married to Tim Witherspoon. Where and/or how did Kelly Rowland and Kieran Richardson meet? Why did Kelly Rowland and Kieran Richardson break up?